Imaginative Play: photo shoot, hula hoops, treasure hunt, mermaid kisses and more! We will provide the Fin Fun mermaid fin and tail, while you are in class! 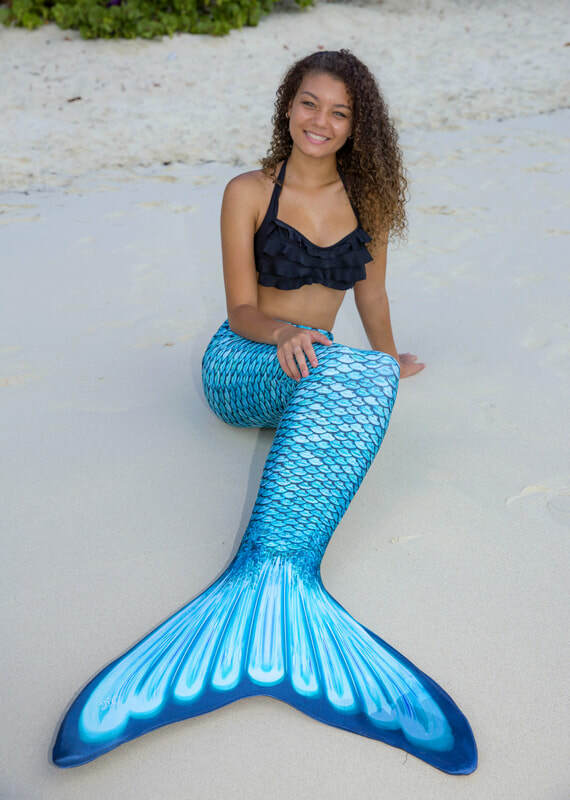 Spindlebeak is an authorized reseller of the Fin Fun Mermaid Tail and Monofin -- if you wish to make a purchase, we are available to assist! Each session will be specifically tailored to meet your needs and comfort level. Mermaid swimming is a water aerobics event! You will receive a powerful core work out, all while having fun! materials. A Fin Fun mermaid tail has an opening on the bottom of the monofin and the tail to avoid trapping air that could form air pockets. Also, our foot retainers are specially designed to quickly release from feet with a slight tug to remove one foot, and then a quick push and kick to remove the other, yet it will remain snuggly on the feet during swimming. The soft, durable neoprene covering is also extremely comfortable and lightweight.